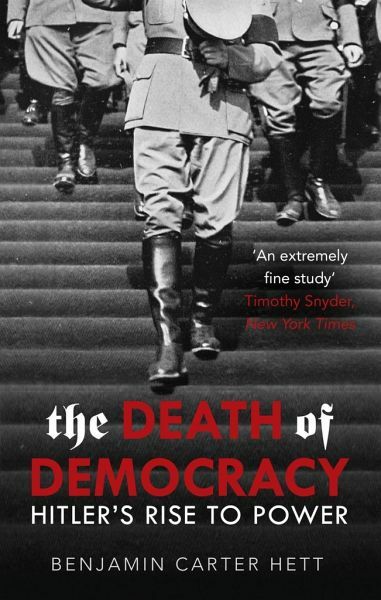 In the 1930s, Germany was at a turning point, with many looking to the Nazi phenomenon as part of widespread resentment towards cosmopolitan liberal democracy and capitalism. This was a global situation that pushed Germany to embrace authoritarianism, nationalism and economic self-sufficiency, kick-starting a revolution founded on new media technologies, and the formidable political and self-promotional skills of its leader. Based on award-winning research and recently discovered archival material, The Death of Democracy is a panoramic new survey of one of the most important periods in modern history, and a book with a resounding message for the world today.